Changing your diet is one of the most common New Year’s resolutions. This year, why not try adding some of these skin-boosting superfoods to your grocery list? These foods are loaded with antioxidants, vitamins, and minerals that support healthy skin. Add one or more of these foods to your diet and enjoy a more radiant complexion. This fish is loaded with omega-3 fatty acids. Omega-3 fatty acids reinforce skin’s natural moisture barrier to keep skin supple and hydrated. 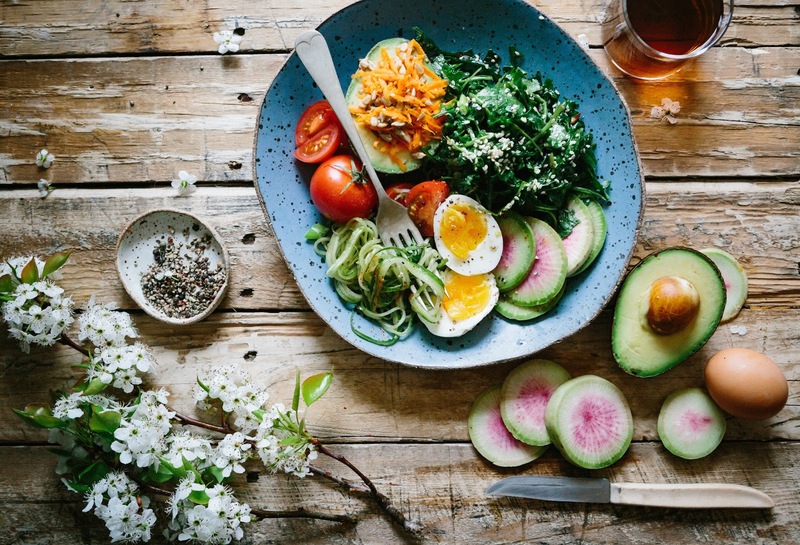 Our bodies do not have the ability to manufacture fatty acids, so the only way to get these necessary compounds is by incorporating them into your diet. Salmon also contains dimethylaminoethanol (DMAE). DMAE protects against cell deterioration that causes signs of aging. Finally, salmon is a great source of protein. Protein is the building block of collagen and elastin, both of which act to keep skin firm and youthful. Wild-caught salmon provides the most health benefits. Not a fan of fish? Avocados are also rich in omega-3 fatty acids. Plus, avocados are an excellent source of vitamin E. Vitamin E is an antioxidant that neutralizes the free radicals that cause cellular damage, and may help to defend against skin cancer. Consumption of vitamin E also moisturizes the skin from the inside out. Keep that in mind next time you order guacamole! Brazil nuts are one of the best sources of selenium. In fact, just one Brazil nut contains 135% of the recommended daily value of selenium. Selenium is an antioxidant that boosts collagen production and preserves elastin for firmer skin. Eggs are rich in biotin, a B vitamin also known as the “beauty vitamin”. Biotin is commonly known to support healthy hair and fingernail growth. However, biotin also protects the skin from irritation like rashes, acne, and excessive dryness. Plus, eggs are a great source of collagen-boosting protein. Tomatoes’ lycopene content may provide protection from sun damage. According to a 2008 UK study, people who ate 5 tablespoons of tomato paste daily had 33% more protection against UV rays than those in the control group. Cooked tomatoes have more lycopene content than raw, so try adding tomato sauce, gazpacho, or roasted tomatoes to your diet. Like all citrus fruits, oranges are a great source of vitamin C. Vitamin C is necessary for the production of collagen, which keeps skin taut and firm. According to research published in the American Journal of Clinical Nutrition, people who eat lots of vitamin C-rich foods have fewer wrinkles and other signs of aging. Kale is also an excellent source of vitamin A, which promotes healthy skin cell turnover. Green tea’s antioxidant content provides its skin-boosting properties. 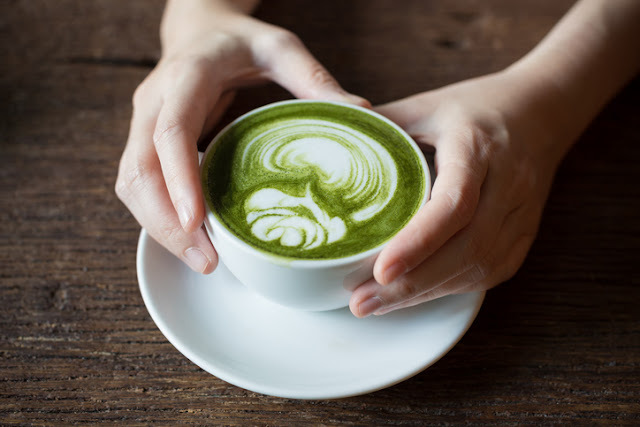 Research at Case Western University revealed that catechins, a type of antioxidant found in green tea, reduce the risk of developing skin cancer. Green tea is also helpful for flushing out toxins that can lead to breakouts. Additionally, green tea has topical benefits. Green tea’s vitamin K content can lighten dark circles around the eyes. For brighter eyes, chill used tea bags in the fridge, then place on eyelids for 15 minutes. This delicious snack is rich in linoleic acid, a type of omega-6 fatty acid. Linoleic acid prevents thinning skin that causes fine lines and wrinkles. Its moisturizing and anti-inflammatory properties are also helpful for those with skin conditions like eczema. Did your favorite food make the list? Let us know in the comments!